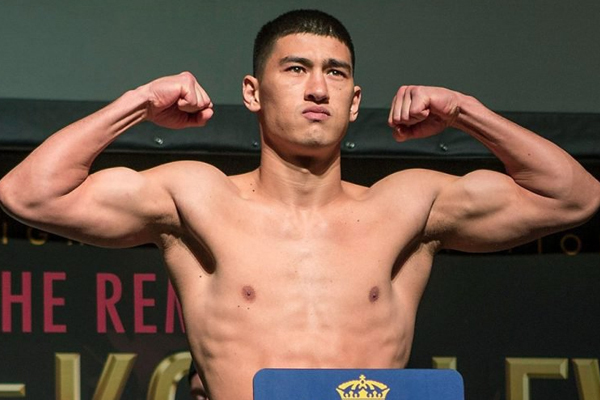 I cannot say I am surprised that Dmitry Bivol defeated Sullivan Barrera Saturday night in New York City. Going into the weekend, I saw their light heavyweight bout as a 50/50 fight. But I sure didn’t expect him to win so easily. Showcasing blistering combinations, He won nearly every round of the fight, before finally finishing Barrera off with less than half a round remaining in the bout. It was a statement performance and establishes Bivol as one of the top fighters in the already crowded 175-pound division. Barrera is a big, skilled light heavyweight. He was plenty game against Bivol, fighting for all he was worth to the very end. But he simply could not handle the speed and accuracy of Bivol’s punches. Barrera was out-gunned and he is not a fighter one is accustomed to seeing out-gunned. He had lost just one fight previously–to former pound-for-pound kingpin Andre Ward. I’m not sure I would say Barrera’s loss to Ward was “closer” than this one against Bivol. But he did finishing that fight. Bivol has still had just 13 professional bouts. But after this performance against Ward, he might just be ready for anybody in the division, including Sergey Kovalev, who did not exactly look flawless en route to knocking out Igor Mikhalkin on the same card. He might need to wait for Kovalev–after his fight, Kovalev said he would like the winner of Adonis Stevenson and Badou Jack. Winning that fight would remove any doubt that Kovalev is the top light heavyweight in a post-Ward world. But Bivol is just 27. Down the road, anybody who wants to be the man at light heavyweight is going to need to reckon with the knockout artist from Kyrgyzstan.